Emily joined the JLOCC in 2014 to serve the local community. She served in the TCC Special events, the Board, and Membership Advisor. Emily is the Senior Manager at Frito-Lay, PepsiCo in Rancho Cucamonga. 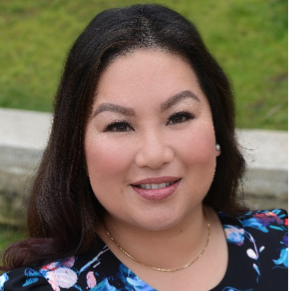 She holds a Bachelor of Science in Chemical Engineering from Cal Poly Pomona, and an Executive Master of Business Administration from Chapman University. In addition to the JLOCC, Emily is a member of the Phi Sigma Rho Sorority as an Alum. Emily lives in Pasadena with her husband, Danilo. She enjoys spending time with her family and friends, in addition to working out, reading, and traveling out of the country once a year.